I can't believe that a year ago we were all watching the TV scouting the news for any information on the new Royal arrival. I'm sure William and Kate are having the same feelings too as all parents do, where did the time go?? One year on and as we can see from the pictures that have been released of the little prince, he is toddling away and looks to be a very happy and cheerful little monkey. Since his birth a year ago he has created a whole new 'Prince George' effect when it comes to buying baby items and baby clothes. As soon as he hit the TV screens as he left the Lindo Wing people wanted to know what blanket he had, what was the young prince swaddled in and what pram or car seat they were using. Just like his mother Kate who only has to be seen wearing an outfit for it to fly off the shelves and sell out as soon as people find out where it was purchased from, Prince George too has outfits selling out and on back order as soon as he is seen looking extremely cute. From the Aden + Anais muslin swaddle that he was seen wrapped in soon after he was born to the G H Hurt shawl that he was wrapped in when they greeted the press, people wanted to get their hands on something that Prince George had. 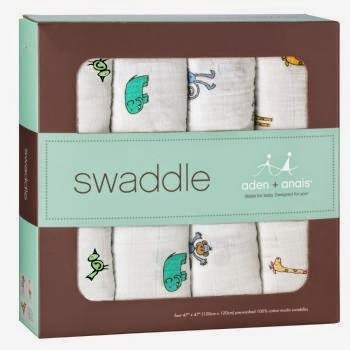 The Aden + Anais swaddle muslin was from their Jungle Jam design and featured little birds all over it. The four pack of muslin swaddles also includes a monkey, elephant and giraffe print in the set and retail at £44.95 from Aden + Anais direct and other stockists. Aden + Anais swaddle muslins in Jungle Jam design. The shawl from G H Hurt & Son was the super-fine Merino wool christening shawl, measuring 120cm x 120cm and made from 100% Merino wool. Knitted in ivory white and with a scalloped edge it is ideal for a christening blanket or for any special occasion. Retailing at £48 on their website. They also have many other gorgeous shawls to choose from. On their recent tour of New Zealand Prince George sported an array of cute outfits. Quite a few were from Rachel Riley. From the moment they stepped off of the plane he looked dapper in his romper suit (by Les Petite Abeiles) and cardigan combination through to his play date with other similar aged children and his visit to the Zoo with his parents he looked smart yet comfortable in his outfits. 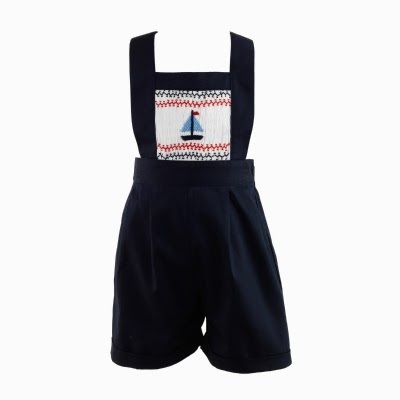 His play date outfit was one of my favourites and I did go to Rachel Riley and purchase the gorgeous navy short dungarees with sail boat smock detailing to the front. 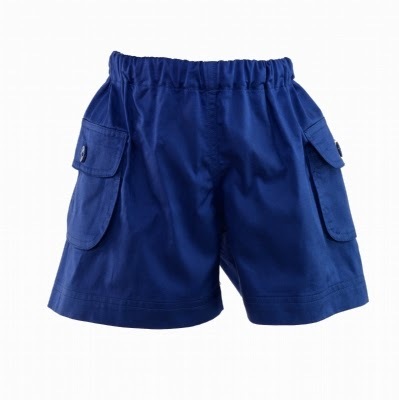 The classic design with cross over shoulder straps that button up at the back, elasticated waistband around the back and cuffed legs they look so smart yet still practical and comfortable for a toddler. 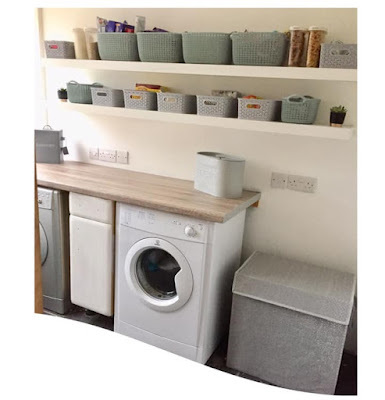 They 100% cotton and machine washable, they wash well and have so far lasted us a good few months with still plenty of room in for a growing toddler. Retailing at £75 on their website, size 6 mths and 12 mths are to order and age 18 mths and 2 years are In Stock. The gorgeous Rachel Riley sail boat smocked dungarees and my own little Prince modelling our purchase. Prince George's zoo trip outfit was another favourite of mine and I would love to purchase it for my son before the Summer leaves us!. The outfit consisted of blue shorts with a blue striped polo t-shirt both items again from Rachel Riley. The pocket shorts in french navy are made from cotton poplin with a comfortable elasticated waistband, they 100% cotton and machine washable. 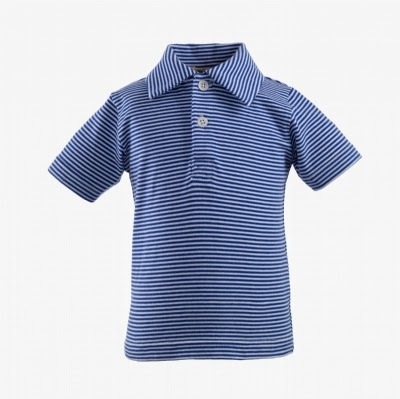 The striped Jersey polo t shirt is 95% cotton and 5% spandex in a narrow stripe French blue and ivory stripe with pearl buttons to fasten at the front. This item is also machine washable, perfect for a messy, growing toddler. Both the pocket shorts and striped polo state In Stock in all sizes on their website although there is a message that reads 'Due to popularity, this item is selling out really quickly! Please place your order as usual, and our customer service team will contact you shortly to confirm your delivery date, there may be a waiting time of up to 8 weeks. Thank you! So please do check with them before ordering. Rachel Riley French navy shorts and striped polo t-shirt. Rachel Riley has many more deliciously beautiful clothes on their website, with more classic style dungarees in different patterns to a Prince Crown embroidered babysuit. All with that special classic look about them, smart and special yet ideal for a growing baby and toddler. There are many more outfits that he has worn that people want for their little ones, these are just a few bits that were my favourites throughout the year. So there we have a brief round up of a few things that have had the Prince George effect and I hope it continues, which I am sure it will looking at the latest pictures of the Prince toddling around in his cute striped dungarees on the most recent photo release. How quickly that year has gone and what a handsome little Prince he is. Happy Birthday Prince George.